Why I'll never leave the house again. My mother just bought a 50" HD LCD TV (although she doesn't have an HD signal...yet). And I love it. 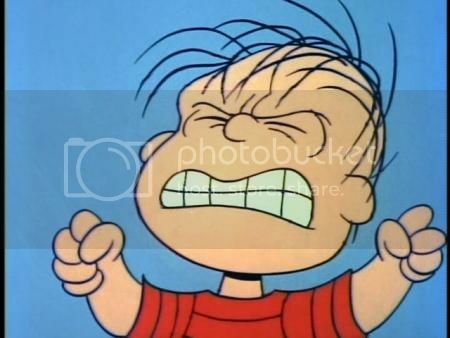 Just imagine how great it'll be to watch some of my favorite shows ("Eye on Springfield", "All My Circuits", "Sports Night", "Everybody Loves Hypnotoad", "Quahog 5 News", "Gumble 2 Gumble", "Knight Boat", etc. ), not to mention my favorite movie (Hail to the Chimp). And to the curious, the first movie played on the big screen was Blow. Oh man. 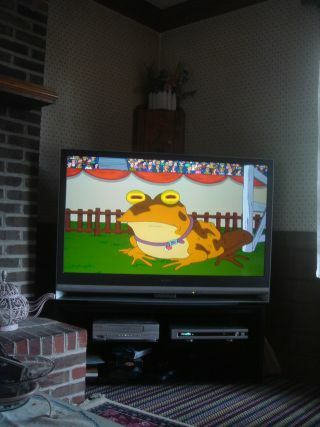 Hypnotoad on the bigscreen TV. Your mom rocks. "Knight Boat" is the beeeeest. Wow! I love Hypnotoad! (Can you also get those Japanese cartoons that induce seizures?). I also have a fond appreciation for "Gumbel 2 Gumbel" and their particular brand of beach justice. My problem with "Knight Boat" is they always conveniently find a canal, inlet, or fjord through which to pursue the bad guy...a little too unrealistic if you ask me. I second that whole MAKE MORE BLOG campaign. Tell us how much more wild and crazy your life is now that you've left Cowtown. if only you'd stop watching so much danged "knight boat" (i mean, how many exploding yacths can you find?) and write some more blog. but then again, i've been on a bit of a hiatus. Oh No! Hypnotoad got Micah! Come back Micah! You can still watch TV and post at the same time!